2 Years of Living, Running & Growing! So yesterday I quite by accident realized that today is exactly 2 years from my very first blog post! I wasn’t necessarily planning to write about it, but since I didn’t have anything else planned for today I figured it may be a good time to recap a little bit about the past two years and share some of my favorite posts! …in total I’ve run 8 half marathons, 3 full marathons, 1 mud run, a few other races of various distances and I’m currently training for an event so crazy they actually call it Dopey! …since then we’ve run many races together (most at Disney, but some not), all crashed in 1 room for 2 race trips, dressed up as characters from Cars (and are currently working on costumes for January! ), and I can’t confirm, but we may or may not have a group text that’s been running for over a year. Since I started blogging I’ve also left a full time job to go back to school and became a certified yoga teacher! I am so thankful that I started blogging and can easily look back on all of these experiences! Thank you to all of you for stopping by (and coming back!) and here’s to another year of Living, Running and Growing! **this is by FAR the post popular post I’ve ever written! 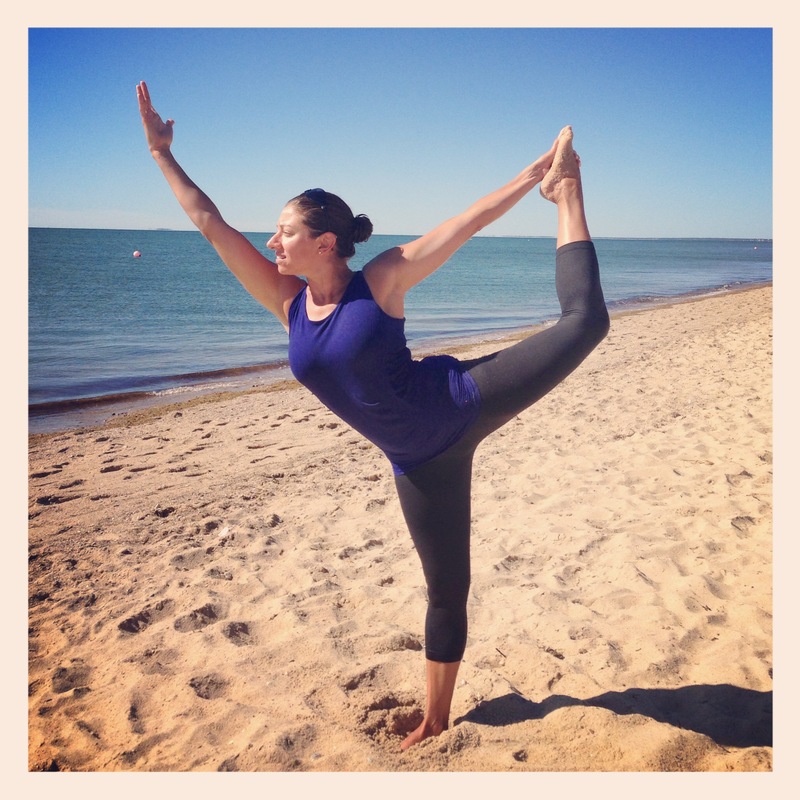 Yoga for Runners – Stop Foot Abuse! Wow the Dopey Challenge sounds fun! I have yet to do Disney. I tend to hide in the corners and run marathons in places that won’t cause me to go broke. haha. Congrats to you and you 2 year blogiversary! Haha, that’s very smart of you! These trips definitely do get expensive, I need to cut back a little and look for some more local races! Just read some of those posts. You’ve influenced me to do a pet anniversary post since this Sunday is one. He may be with my parents, but he comes running at me when I visit. And I hate heels too. Is it normal to blame them for contributing to my ITBS? Seriously, I do, my IT band seems to flare up after I wear heels. Yay! I love that you’re going to do a pet anniversary post! I love celebrating Madison’s anniversary – we celebrate her birthday too, but we’re not 100% sure that’s her actual birthday so her anniversary feels more important! And yes, I think it makes total sense that heels could both IT band issues! I am really not a fan of whoever invented heels. 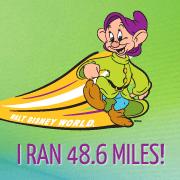 I just found your blog – i am also training for the dopey!! Super scared, but it is Disney, and as long as I have fun. I would love to see what your training plan is like. Great blog! Just keep in mind I am coming off recently completing a full marathon in October so I’ve scaled it back a bit and am focusing on maintaining rather than building up mileage. Thanks for stopping by Vickie! 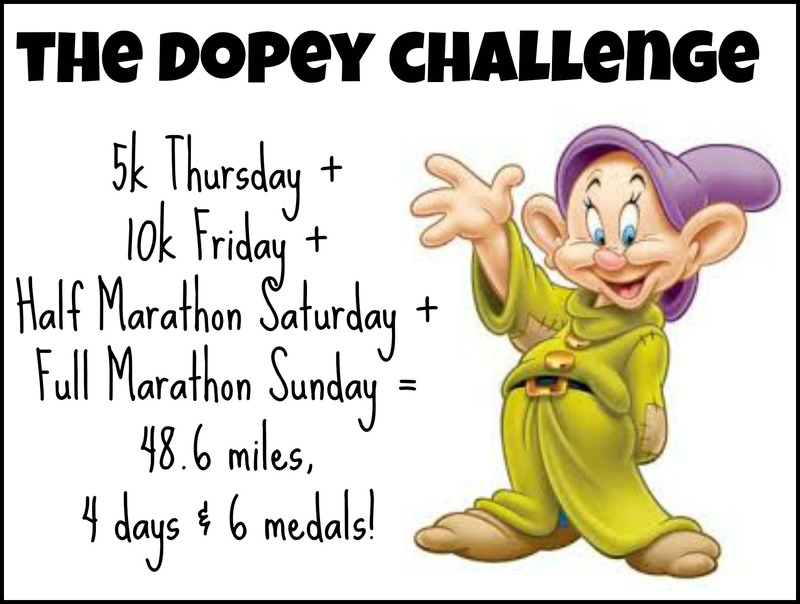 Dopey will definitely be quite a challenge! I think the key is going to be taking is slow and not worrying about my time for any of the 4 runs. We’ll see how it goes! Happy blogiversary! What a great race to have as your anniversary. Thanks Abby! Yeah, I really love Wine & Dine, I look forward to it all year long now! Congrats on 2 years! 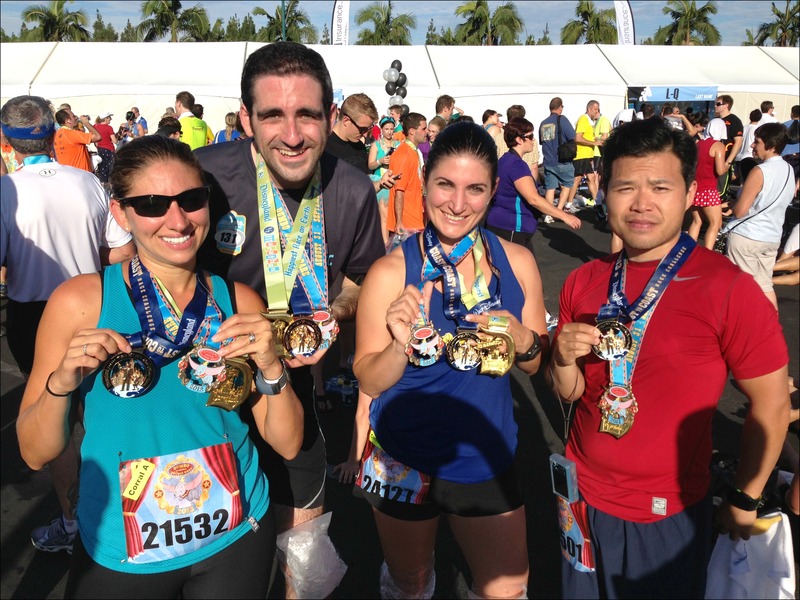 I did my first half in April and my first marathon will be at Disney in Jan. We might rub elbows as you pass me. Good luck on the Dopey! I debated it in my head as I ran this morning as to whether I would ever want to do it. I guess I will see how the marathon goes first. Yes, if you see me in January please say hello! And yes, I would definitely wait and see how your marathon goes before thinking about something as crazy as Dopey! Good luck with your training and please let me know if you have any questions that I can help with! Congrats!! I miss my blogiversry every year. I’m going to just have to put it on my calendar. Love following you on your adventures. To another great year of running and writing!